The need to tip the power balance through the empowerment of local actors. Latin America - LIMA, Peru (17 December, 2012)_While indigenous people in Latin America are increasingly gaining rights to their traditional homelands, obstacles ranging from unclear legislation to entrenched power brokers have prevented them from having any real say over governance or their natural resources, a new analysis says. Anne Larson, a scientist with the Center for International Forestry Research and winner of this year’s Ostrom Memorial Award for most innovative paper of the year, has spent the last six years studying cases in northeastern Nicaragua. The North Atlantic Autonomous Region, an area that includes 19 indigenous territories with elected leaders, was created in the late 1980s to give local people a role in decision-making. That added a new layer of control to a system that already included national and municipal governments. However, that did not necessarily make decision-making more effective or democratic. Effectively, the national government maintained de facto control. A turning point came when Awas Tingni, a Sumo-Mayangna indigenous community, filed a petition with the Inter-American Court of Human Rights over a forest concession that the national government had granted to a foreign company on its lands, without its consent. In a landmark case in 2001, the court mandated that the government recognise indigenous land rights. Not long after, Nicaragua passed the Communal Lands Law, officially recognizing this and calling for demarcation and titling of lands. The law, however, did not automatically resolve key issues facing the communities, particularly those related to the colonisation of the land by outsiders, the formation of territories, election of representatives and authority over natural resources. “Indigenous land rights are being recognised in part because of important national and international movements that have fought for them, but also in part because those who want access to the resources on those lands are finding other ways to get them,” Larson says. In Nicaragua and other countries, indigenous territories often overlap the boundaries of municipalities. That can lead to conflicts in cases in which both local indigenous authorities and municipal officials claim jurisdiction. Further complicating matters, the national government may be reluctant to give local people the power to make decisions about natural resources, even if the law requires their free prior and informed consent. As a result, they still lack the real ability to make decisions, Larson says. Instead, other players with more power take advantage of legal ambiguities and sideline them from decision-making. Her paper, Decentralisation and devolution in Nicaragua’s North Atlantic autonomous region: Natural resources and indigenous peoples’ rights, published in the International Journal of the Commons, shows that laws establishing multi-level government alone will not enable indigenous communities to better manage their natural resources. “The only practical solution is to tip the power balance through the empowerment of local actors – through specific interventions to educate, organize and facilitate their ability to bring about change in the way decisions are made,” Larson writes. “People need to understand and fight for their rights and demand accountability and representation not only from authorities but also from their own leaders,” she says. “We need to rethink ways of managing community development, emphasising identity and intercultural relationships,” says co-author, Jadder Mendoza-Lewis, former director of the Natural Resources, Environment and Sustainable Development Institute at the University of the Autonomous Regions of the Caribbean Coast of Nicaragua (URACCAN), who is a native of that region. “It is important to engage in deeper dialogue and design mechanisms that ensure communal and territorial governments that are democratic, transparent and inclusive,” Mendoza-Lewis says. Legal reforms can also help by creating a process for communities to give their free, prior and informed consent about concessions or other use of resources on their lands, specifying how communities will exercise their rights and clarifying the relationship between municipalities and territories. Such steps could “help level the playing field,” according to Larson, encouraging dialogue with communities and empowering local leaders by helping them understand their territories and training them in negotiating skills. “The dynamics are partly about natural resources, because they are a main source of employment and development, but governance structures and the reasons people come together have to do with what they want for their future, not just natural resources,” she says. Larson hopes to compare Nicaragua’s experience with the autonomous region with systems for governing indigenous territories in other parts of Latin America. The Ostrom Memorial Award is named for the late Elinor Ostrom, who won the Nobel Prize in economics in 2009 and was known for her studies of the management of common resources. Michael Schoon, an editor at the International Journal of the Commons, said the paper by Larson and Mendoza-Lewis was noted for the interesting and innovative approach it took in grappling with the problem of how to embed power relations in a theory of decentralisation. The publication is part of the CGIAR Research Program on Forests, Trees and Agroforestry and was supported by the Rights and Resources Initiative and the Ford Foundation. Q&A: Who owns the rights to the world’s common resources? 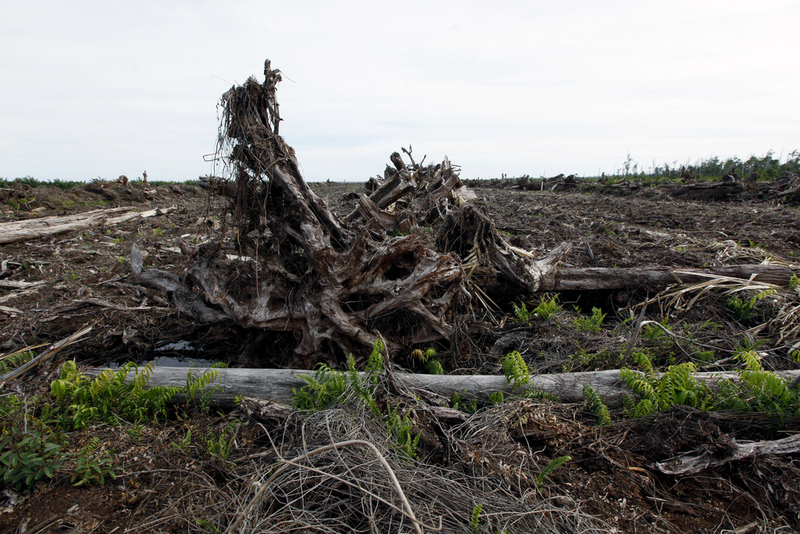 At COP20: REDD+ emerging—or REDD+ emergency?